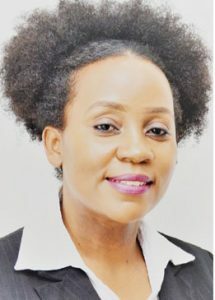 Bankers Association of Malawi (Bam) has said preparations for this year’s Global Money Week (GMW) are at an advanced stage. Malawi will from March 25 to 30 join the rest of the world in commemorating GMW under the theme Learn, Earn and Save. GMW, a Child and Youth Finance International (CYFI) initiative, is an annual financial awareness campaign built to inspire children and young people to learn about money matters, livelihoods and entrepreneurship. Bam Chief Executive Officer, Violette Santhe, said on Wednesday that today’s children and youth should become empowered citizens, capable of understanding the importance of saving. “We want young people to learn to manage their money wisely. By empowering children and youth, we can help them transfer their knowledge to their families and to entire communities,” Santhe said. She said during the week the bankers will visit two primary and two secondary schools in Blantyre to enlighten students on money related issues. “We have teamed up with our member-banks for the initiative which will, among other things, include a lecture and quiz competition. We hope this will go a long way in building better citizens. “The earlier children learn about money, savings and investment, the better they manage their personal finances throughout their lives. These skills help children and youth to understand the difference between earning, saving and spending, making them better money managers, who are able to budget and have healthier money habits,” Santhe said.